By Mark Asher, a writer and Idaho author best known for his heartwarming books about pets, including All That Ails You. Pets are nonjudgmental, full of love, grateful, and loyal. Doesn’t that sound like an ideal office companion? It sure does. Pet parents inevitably weigh in on their own employer and express their desire to have their cherished four-legged friends with them at work. The good news is a pet lover’s dream is more and more becoming a reality. Progressive companies like Clif Bar & Company, Salesforce, Bissell Homecare, Kimpton Hotels and countless small businesses now allow their employees to bring their pets to the office. Gym memberships, office massages, and free food are nice perks. But let’s face it, if you’re an animal lover, having your pet with you during the work week is the bomb. And pet lovers are willing to make sacrifices to make it a reality. According to a survey by Wellness Natural Pet Food, 37% of those polled would be willing to forgo vacation time and working from home if their employer would commit to being pet friendly. The group clamoring for this arrangement with the intensity of a dog eyeing a tasty treat is millennials. In the same study by Wellness Natural Pet Food, 51% from Generation Y would contemplate changing their job for a workplace that welcomed their furry friends. Pleasing this growing demographic can’t be overstated. According to the latest U.S. Census Bureau data, by 2019 millennials will comprise the largest segment of the population, exceeding baby boomers. Naturally this shift is reflected in the workforce, where 75% of employees worldwide are estimated to be millennials by 2025. This will bring about a significant shift in power. As baby boomers retire, millennials—who now occupy around 20% of leadership roles—will take over more and more important positions. Millennials have a reputation for job hopping. 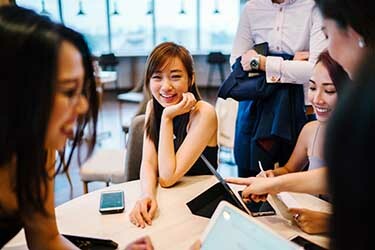 According to the 2018 Deloitte Millennial survey, the number of millennials who see themselves leaving their jobs within two years is 43% (up from 38% the previous year). Providing them with something that is dear to their hearts can help to attract and retain them. It’s important to note that for many millennials—who are marrying later and delaying having children—pets are their children. Having them close provides joy and security. This begs the question: is a pet friendly office truly something worth adopting? In 2016, Banfield Pet Hospital conducted a study of over 1,000 employees and 200 human resources decision makers. When asked if a pet friendly office made improvements in the following areas—employee morale, work-life balance, work relationships, and stress reduction—respondents agreed 79-95% of the time. Dogs are known for their loyalty, but it spills over to their owners when they’re permitted to bring their pets to work. In the Banfield study, 91% of the human resources decision makers conveyed that workers accompanied by their pets have a greater loyalty to their companies. The benefits of allowing pets in a work environment is such a selling point that 79% of the human resources decision makers in the study said they discuss their pet friendly policy when recruiting employees. This makes sense as allowing employees to bring their dogs to work saves them money on caring for their pet. When they’re not burdened with needing to leave work to look after their four-legged companions, they tend to work longer hours and increase their productivity. Humor, it has been said, is the universal solvent against the abrasive elements of life. Dogs play a similar role in an office setting. Their carefree disposition in the face of the everyday pressures of work life lightens the mood. Overwhelming data tells us that petting a dog or holding a cat creates a surge of feel-good hormones and also boosts our immune systems. The Centers for Disease Control and Prevention (CDC) has found that pets can lower our blood pressure, cholesterol, and triglycerides. Employers are enticing and pleasing pet parents in various ways. Offering pet insurance as a voluntary benefit is a big one. This gives pet owners the peace of mind that they will have help when it comes to unexpected veterinary costs and their animals will be taken care of. Pets Best Pet Insurance works with HR professionals and brokers to help implement pet insurance for all sizes and types of companies. Some companies also give their workers time off when they get a new pet, in what’s affectionately known as pawternity leave. They are, after all, considered fur-babies to a legion of animal lovers. A similar gesture can be paid at the end of the pet’s life by providing a bereavement leave. 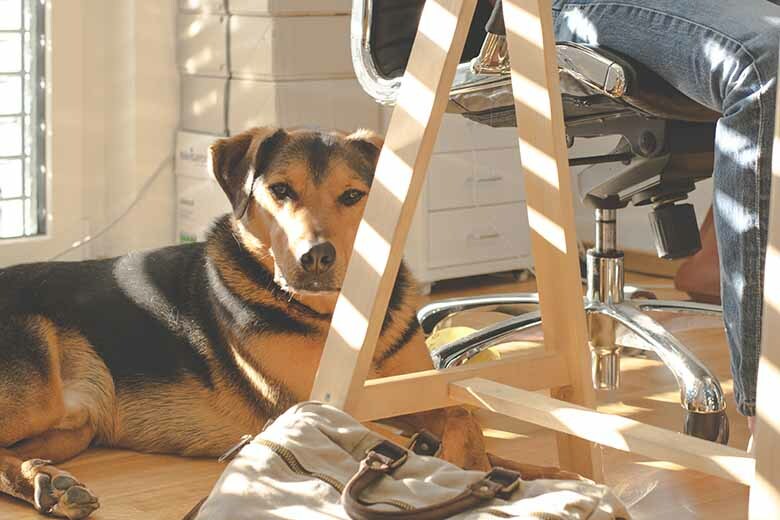 There are several considerations to take into account when implementing a pet friendly office. The first step you need to take is getting permission. Read your lease carefully to see what stipulations pertain to allowing pets. If your agreement precludes pets beyond those permitted by The Americans With Disabilities Act (ADA), approach your landlord to discuss the possibility of altering your lease. If your efforts aren’t successful, you can begin searching for a new space that will enable your employees to bring their pets to work. As important as finding out whether your office can be made pet friendly is assessing how your employees feel about the idea. This can be effectively achieved through surveys or focus groups. In addition to determining if the majority of workers favor such an arrangement, seek suggestions for ways to accommodate those who have concerns about being around pets. A common concern is for those who are allergic to pets. According to the Asthma and Allergy Foundation of America three in ten people with allergies have an adverse reaction to pets. It’s worth noting that cat allergies are twice as common as dog allergies, and dogs are the primary pets found in pet friendly offices. There are several options to help those who suffer an allergic reaction around pets. You can relocate an employee to a part of the office that is furthest from people who bring their pets to work, or give them access to a window or a door that can be opened. If your company has ample space, reserving a floor for those who prefer not to be around pets is an option. Another possibility is to allow the affected employees to work from home one or two days a week. Frequently cleaning your office space to reduce pet dander and setting up multiple air purifiers are general remedies that can also be helpful. Safety is another important issue to consider when transitioning to a pet friendly office. Not everyone is comfortable around animals, and an aggressive or untrained dog can cause them to become more fearful. You also need to be mindful of the pets themselves. Offices should be pet-proofed, just as a home would be. New environments can make pets curious and potentially dead to behavior problems. In an office setting this can lead them to get into office supplies, cables, or trash cans. Something as simple as a dog’s paws getting caught beneath a rolling office chair can cause an injury. Even if your pet is well-behaved and friendly, not all pets make good office companions. If you need to babysit your pet and they disrupt your work, it’s better to leave them at home. Set up a trial run to ensure that your dog isn’t going to bark or suffer from separation anxiety whenever you leave your cubicle or office. This will also give you peace of mind that your pet won’t destroy office property by chewing, scratching, or urinating. Before committing to a pet friendly office, it’s a good idea for companies to designate a certain day of the week whereby employees can bring their pets. This allows an employer to assess how the arrangement works for all employees, and gives them a chance to solve any issues before expanding the program to full-time. The best way to keep everyone on the same page regarding having pets in the workplace is to create guidelines. Have your HR department or an assigned employee make sure that all pets are housebroken, properly trained, and current on their vaccinations as well as heartworm and flea treatments. 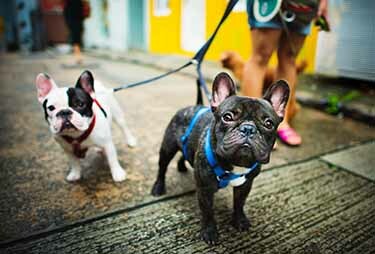 A good pet policy will spell out what type of pets are allowed and if there are any breed restrictions. It will detail which areas of the workplace are off-limits to pets. Some companies prohibit dogs of a certain size from roaming around the office without supervision from their owner. Others create a visual classification chart using different colored leashes to denote which dogs play well with others and which ones need supervision. An employer should make clear the consequences of violating a pet policy. It should also encourage employees to file a complaint against any person with a pet that doesn’t comply with the guidelines. Like anything that’s new, opening up your office to pets requires adjustments and input from all involved to make it a success. Dogs don’t live as long as we do. It makes each day of their lives that much more precious. This by itself is a persuasive enough argument for allowing them to share in a major part of our lives. But when you add all of the benefits of a pet friendly office into the equation, the idea most definitely gets two paws up. No pet friendly office is complete without pet insurance! Learn more about offering pet insurance as a voluntary benefit to your employees.